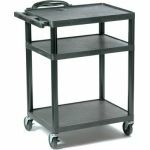 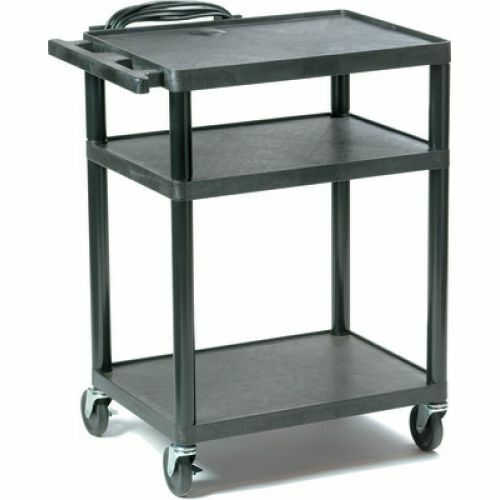 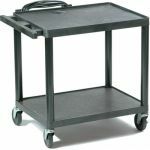 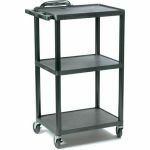 This durable polyethylene A/V cart will meet your needs now and well into the future. Height adjusts to 4 sizes: 16", 26", 34" or 42". 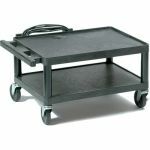 All shelves are 24"W x 18"D. Includes 4" non-marring casters (2 locking) and an integrated 15' power strip with 3 outlets. 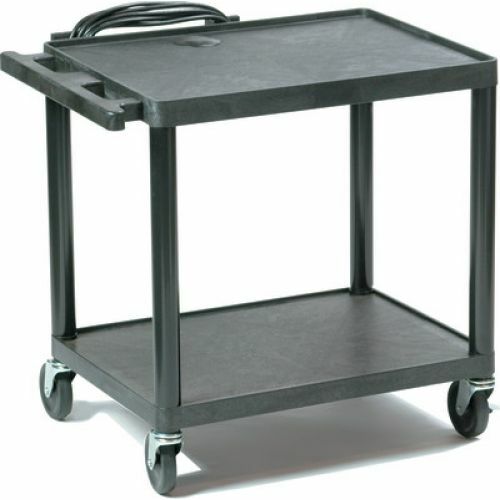 Top self has a 1⁄2" lip surround, molded handle cord wrap and cabling conduit. 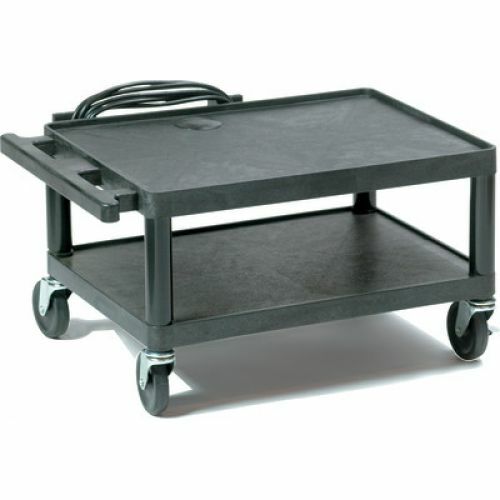 Ready to assemble. 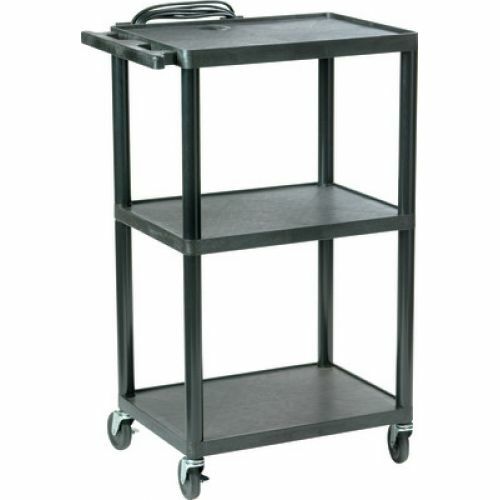 Electrical: 1-year warranty; Cart: 12-year warranty.